ARE YOU ATHLETIC? 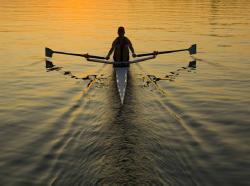 There's great opportunities for you to get into college and even receive scholarships here at Waikiki Yacht Club WATERMAN'S PROGRAM through the sport of Rowing! Next Clinic Starts June 10th 8-11am. With expert coaching in college rowing, sculling and the pathway in the sport . Then all training times will be organized within the squad to accommodate 3 sessions a week with a wrap up at the end of the clinic. Copyright © 2018 Ikaika Hawaii Watermans. All rights reserved.